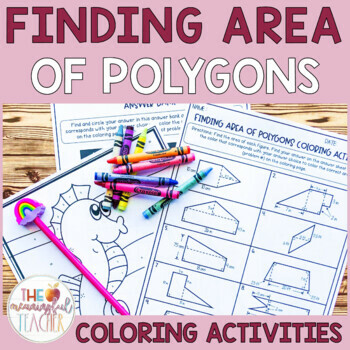 This activity allows students to practice finding the area of polygons while coloring! Students must color each area of the picture according to the answer they get. Aligns with 6th grade math curriculum! PERFECT for early finishers, or a math center activity! Enrichment or Remediation! Answer key and completed coloring sheet included! Check out these other MATH Coloring Activities! CLICK HERE for a Finding Volume Coloring Activity! 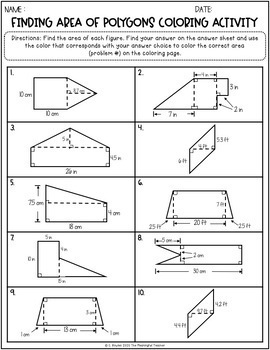 CLICK HERE for a Finding Area of Parallelograms and Triangles Coloring Activity! 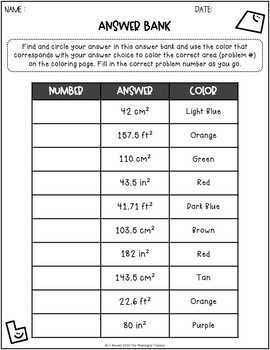 CLICK HERE for a Multiplying Fractions Coloring Activity!